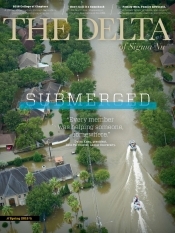 The Delta - v134n2 - Aloha for People - Sigma Nu Fraternity, Inc. When you step foot into the bottom floor of Aloha for People’s two-story head­quarters—also known as Brian Poage (Cal Poly San Luis Obispo) and Emily Sansom’s Hermosa Beach apartment—the first thing you notice are the surfboards: longboards, pumpkin seeds, twin fins, and foamie boards. There are ten of them in total, making the surfboard to person ratio 10:4. One of the surfboards is glass-stamped with the Aloha for People logo, seamlessly blending their pastime with their t-shirt brand. The second floor is a beach lover’s dream: a spacious living room area, fully-stocked wet bar, and large balcony with a “Gone Sur­fin” sign above it overlook the Pacific Ocean, less than half of a mile away. On the day of our interview, the skyline is dreary; you can barely make out the ocean due to the haze from a rainstorm. Yet Brian is all smiles. He could be the poster boy for a local surf shop: sandy blonde hair, a dazzling white smile, and an Aloha for People t-shirt. The mustache and beard are the only give­aways that the 27-year-old isn’t a recent grad. After speaking with him for a while, it’s obvious that the only thing that surpasses his passion for surfing is his passion for spreading Aloha through his company. “The reason I named it ‘Aloha’ is because in Hawaiian culture it means way more than just hello and goodbye. It means things like love, compassion, caring. It’s an entire mind­set and way of life,” he shares. The idea for Aloha for People originated in May of 2016, when Brian, a project manager for a development company, and his fiancé Emily Sansom, a fashion apparel sales rep, wanted something more meaningful than what their 9-to-5s offered. “I read Blake My­coskie’s book, ‘Start Something that Matters,’ and it really struck a chord with me,” Brian explains. The pair wondered whether they could create a company similar to TOMS, that would exist to help people and also provide a really meaningful and lucrative product. Since Emily worked in the apparel industry, they explored opportunities in that space. The pair created a dynamic, sustain­able business model for the company: buy beautiful textiles hand-woven by women in rural parts of Guatemala (creating jobs in the region), sow the textiles into Aloha shirts in downtown Los Angeles (creating jobs in the US), and sell the shirts at a price point that could provide clean water in a sustainable way without relying on donations. 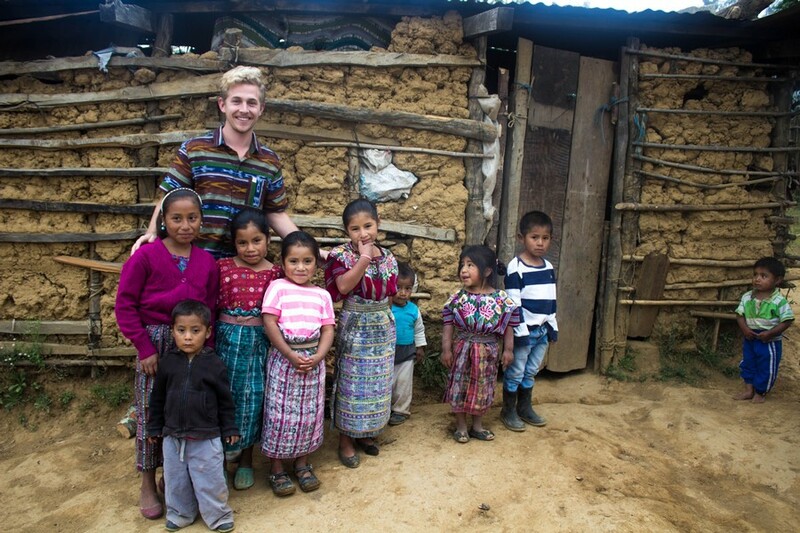 Every shirt purchased through Aloha for People gives one school child access to a water filter for two years. “I wanted to give a measurable quan­tity of how much water we’re giving, ‘cause for me, espe­cially as a buyer, I knew TOMS resonat­ed with me because it was one pair of shoes for a child. It wasn’t 10 percent of whatever proceeds they made,” Brian explains. 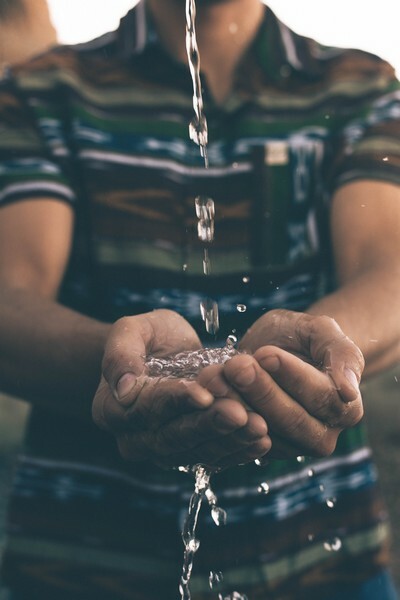 After a lengthy internet search, they eventually part­nered with Ecofiltro, a company that produces clay water filters; Guatemalan-born, U.S.-raised entrepreneur Philip Wilson founded the company in 2009. The campaign slightly exceeded its $25,000 goal and received its LLC in Decem­ber 2016. The company used that seed money to produce 600 shirts, most of which have sold. In fact, this initial trial launch was so successful that the company expand­ed its geographic reach and product line. 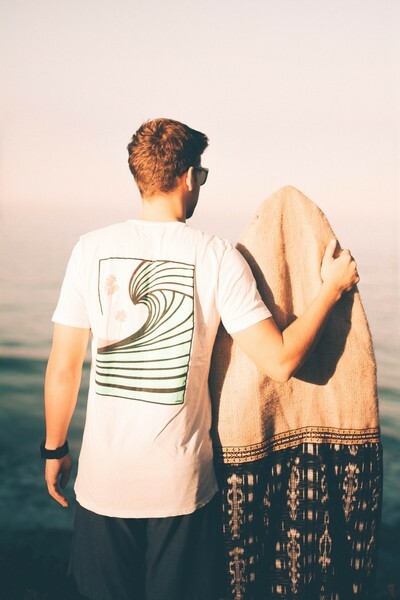 Today it spreads Aloha in Guate­mala and Nepal and offers surfboard fins, pocket tees, and pocket tank tops for ladies, in addition to their signa­ture Aloha shirts. 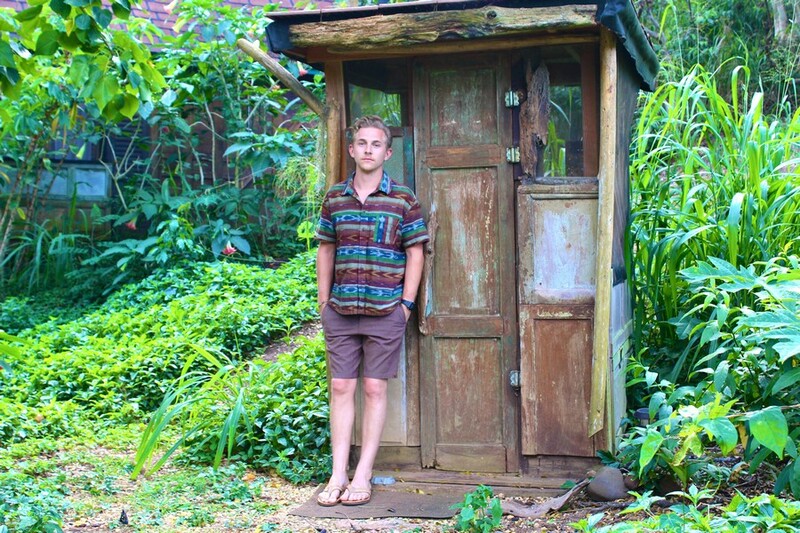 As of December 2017, Aloha for People has provided 640 Guatemalan children access to clean water since they produced the first Aloha shirt in May 2017. Another 25 children in Nepal have received clean water access since December 2017. “And I’m hoping to do more,” Brian adds. It’s clear he will. Since the compa­ny’s launch, he has poured thousands of hours and tens of thousands of his personal money into spreading Aloha. 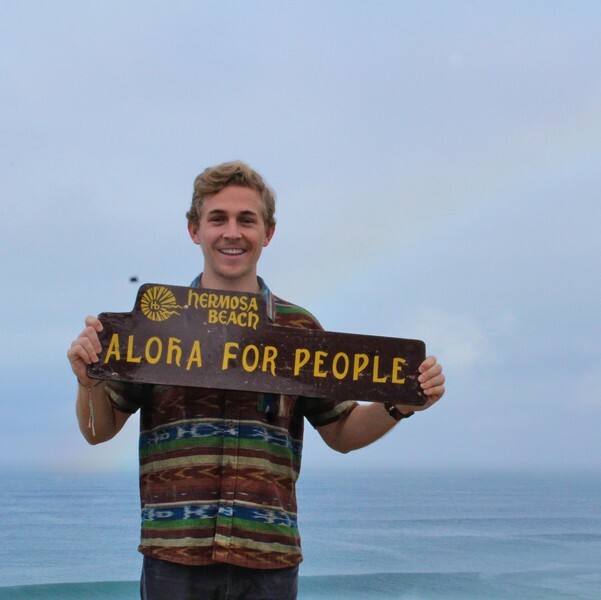 To Brian, spreading Aloha isn’t just about providing clean water through a sustainable economic model; his company is equally committed to caring for the environment. All of the brand’s t-shirts are made either from organic cotton or recycled plastic fibers, through a partnership with Groceries Apparel, a company local to Hermosa Beach. Brian’s leadership in Sigma Nu, coupled with his degree in construc­tion management and five years of experience in project management, have uniquely positioned him to lead Aloha’s projects. Through a partnership with the Surfrider Foundation, the company co-sponsored a bar crawl through the city of Santa Monica last sum­mer, where each establishment had stopped the use of single-use plastic straws. “They are unnecessary,” he explains, emphatically. Brian’s desire and ability to foster entrepreneurship both locally and internationally, namely his commit­ment to his global neighbor and his local neighbor, is noteworthy. The Aloha spring line, for example, will showcase beach designs created by Joe Vickers, a Southern California artist. It’s the partnerships, with other brands and his Sigma Nu brothers, that have proven critical to the com­pany’s expansion. Brian’s most significant Sigma Nu partnership emerged in 2016. He asked his housemate and Sigma Nu Brother Jeff Michaels to create a logo. Excited by the brand’s mission, Jeff created several designs for the com­pany and joined Brian and Emily as a partner after a few months. He’s now the chief branding officer. That work involves supplying rush t-shirts for the Cal State San Luis Obispo Sigma Nu chapter, securing additional partnerships, and continu­ously recruiting Aloha Ambassadors. Ambassadors embody the vision and the mission of Aloha. “They are out in the world spreading Aloha, telling everyone they can about us and our mission for water, and trying to get people more involved,” Brian explains. Several of his fraternity brothers are ambassadors, and a few are featured on the company’s website.